This sweet holiday card was created for the current Lawn Fawnatics challenge #39 Bling It Out! As always I started with stamping my images with alcohol marker safe ink and colored them in. 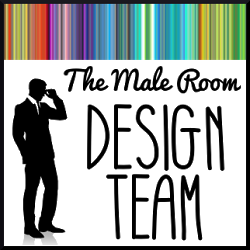 I fussy cut the images next and started working on the background. I used Salty Ocean Distress Ink to color the sky then using a stencil and texture paste I created dimensional falling snow. While that was drying I die cut the snowy hills and stamped the sentiment. Once the background was dry I die cut it with the largest stitched rectangle die and added the panel to the card base. I started to assemble the card adhering the snowy hills first then adding the images. Once I had them all in place I added the final touch – the BLING! I went little crazy with Nuvo Glitter drops in White Blizzard and added it to the snowy hills and all the falling snow in the background. Finally for some extra bling I added Wink of Stella to all the presents, hats and snowballs! I had so much fun making this adorable holiday card! This is such a sweet scenery! Ana your sweet card is just wonderful! Your coloring is amazing and such a fun way to share some holiday spirit! Love it so much! Super cute card! I love the scene you created and your coloring is stunning! The detail within you scene is amazing! 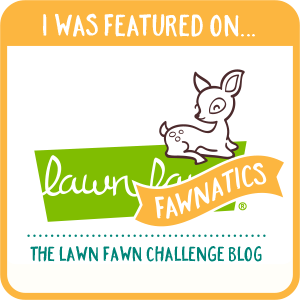 Thanks so much for playing the Lawn Fawnatics Challenge! Super duper cute card Ana! !